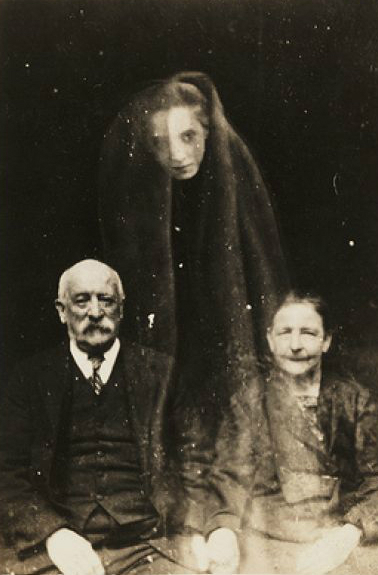 It wouldn’t be Halloween without a mention of ghosts. According to a 2005 Gallup poll, 37% of Americans believe in haunted houses, and according to a 2013 HuffPost/YouGov poll, 45% believe in ghosts. 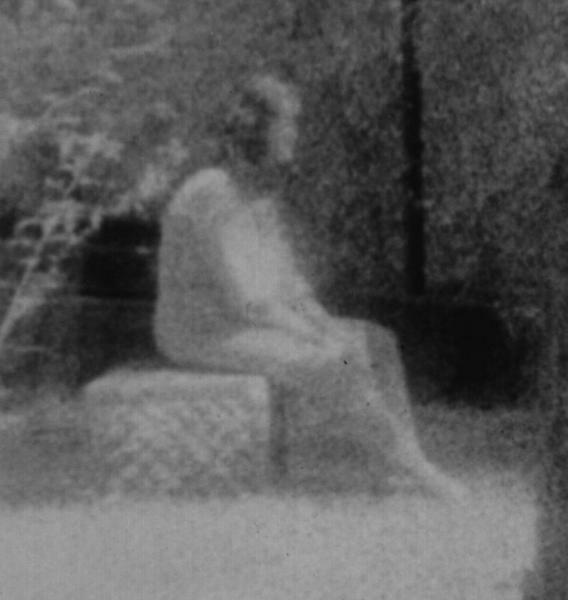 In 2009, CBS asked their American viewers if they believed in ghosts or not, and if they have ever seen one. 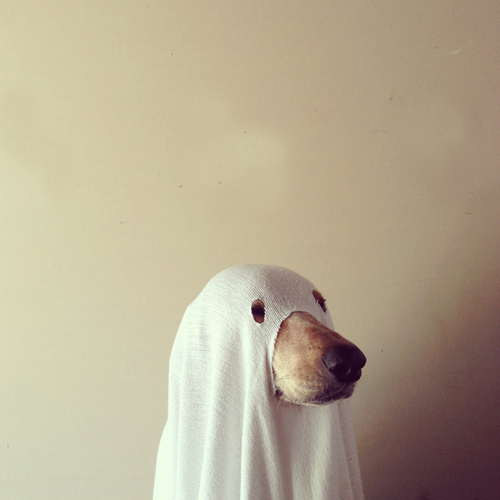 According to that poll, a majority (48%) of Americans believe in ghosts, and a slight minority (45%) say they do not. The remaining 7% didn’t know. 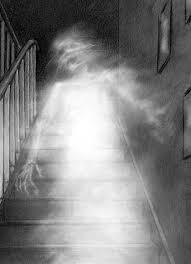 Almost a quarter of people (22%) think they have seen or experienced a ghost. Now please don’t take this as misogynistic, but most of the people (56%) believing in ghosts were women, and the minority (38%) were men. And please don’t take this as an example of ageism, but 54% of the believers were under 45 years old, while 41% were over 45 years old. 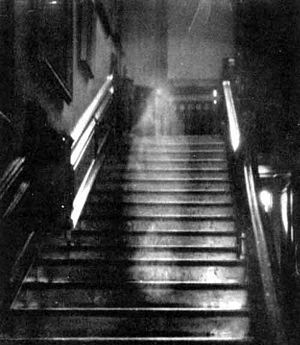 Of the people who believe they’ve seen a ghost (I remind you, 22%), 29% were women, and 14% were men. Most of the believers apparently didn’t answer. Whether they were believers or non-believers in ghosts, most Americans (78%) believe there is life after death, and a minority (14%) believe there isn’t. This is a view shared by 90% of the people attending religious services regularly and 70% of the people who rarely or never attend religious services. But all these statistics beg the question: what in hell do Americans know, anyway? The majority of people still believe the Bush Administration’s story about 9/11. Yet there’s nothing more thrilling than a good ghost story, and this one is a popular (and true?) story from the Chicago area near where I grew up. 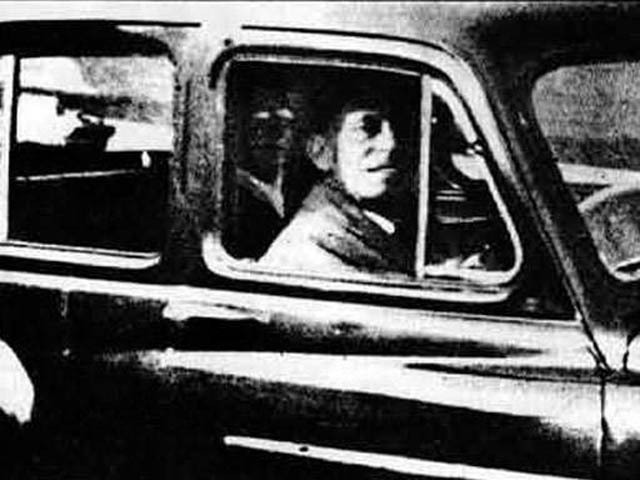 It is of the “vanishing hitchhiker” variety, and it takes place outside Resurrection Cemetery in Justice IL, a few miles southwest of Chicago. Since the 1930s, several men driving northeast along Archer Avenue near the cemetery have reported picking up a young female hitchhiker. 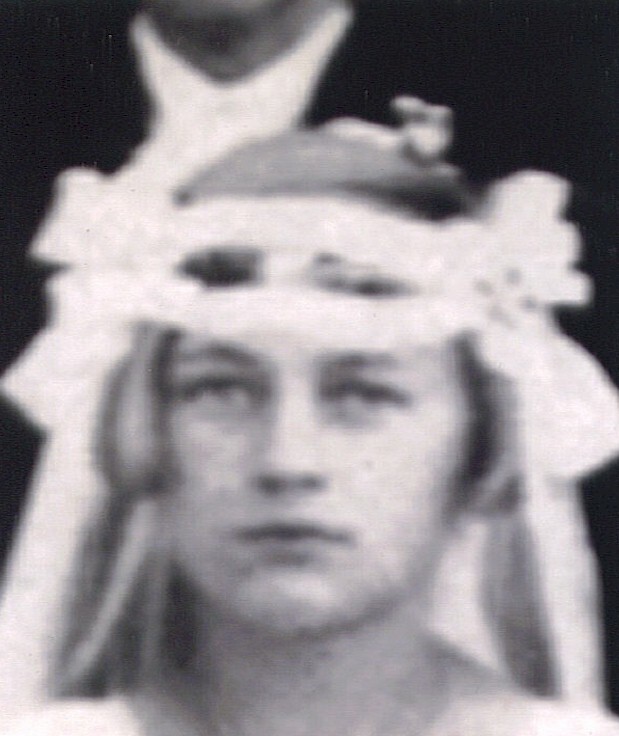 This young woman is dressed somewhat formally in a white party dress and is said to have light blond hair and blue eyes. There are other reports that she wears a thin shawl, dancing shoes, carries a small clutch purse, and that she is very quiet. When the driver nears the Resurrection Cemetery, the young woman asks to be let out, whereupon she disappears into the cemetery. 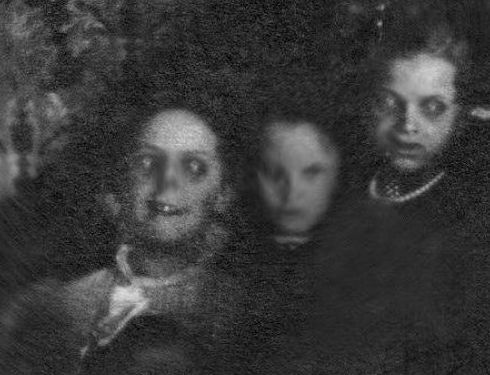 According to the Chicago Tribune, “full-time ghost hunter” Richard Crowe has collected “three dozen . . . substantiated” reports of such a young woman from the 1930s to the present. In early summer of 1927, Ona Norkus (or Anna, which is a translation of her Lithuanian name) was on the brink of her thirteenth birthday. Ona had pleaded with her father, August Norkus, to take her dancing at the popular Oh Henry Ballroom (today renamed the Willowbrook Ballroom) in nearby Willow Springs, along Archer Avenue. It was the only birthday gift she asked for. Devoted to his only daughter, August Norkus agreed to the arrangement, much against the norms of the day. On the night of July 20th, Ona left her Southside home at 5421 S. Neva with her father, his friend, and his friend’s date. The unusual foursome must have had a terrific time, for they left the Oh Henry at closing time, 1:30 am. As Ona’s father steered the group toward home, surely weary and with his daughter closely nestled, August Norkus lost control of the car near Harlem and 67th Street. Dropping into an unseen 25-foot-deep railroad cut, the vehicle was nearly completely destroyed. Ona was instantly killed. Almost unfortunately, her father survived. After the tragedy, August Norkus underwent horrific abuse. Accusations ranged from affronts to his driving skills to rages against his very fatherhood. Why, some demanded, would he have taken a mere child to a dance hall until 1:30 in the morning? An inquest was scheduled, to be held at Sobiesk’s Mortuary in Argo, a nearby town. For a full month, six jurors reviewed the facts of the devastating case, finally declaring guilty the Chicago Streets Department for not having clearly marked the hazard. With the body released, the neighborhood prepared for Anna’s burial. Mary Nagode, the woman who would tell the tale many decades later to cousin Frank Andrejasich, was pressed into service as part of the funeral party. Mary had been a classmate of Ona’s, another twelve-year-old who had recently made her First Communion. When the accident occurred, Nagode had been working for the summer on an asparagus farm in nearby Willow Springs. She was recruited for the funeral procession on the basis of her friendship with Ona—and because she, like Ona, owned a beautiful white Communion dress, recently worn, which would certainly “show up” well in the funeral line. Ona was supposed to be buried on one of three lots at St. Casimir Cemetery which had been purchased by the Norkus family in recent months. It is believed by Andrejasich, Nagode and others that, because of a gravediggers’ strike at the time of her death, Ona was instead placed in a temporary grave in Resurrection Cemetery, one of the central Catholic burial grounds in the region. In those days, gravedigging meant hard labor and low wages. Strikes were common and led to the temporary internment of many bodies at large cemeteries like Resurrection, where dozens of the dead could be buried in shallow graves for many weeks at a time, until strikes passed and the deceased could be transferred and reinterred at their permanent plots. In the summertime, the rapid decomposition of unembalmed corpses often meant that the dead went misidentified. When the time came to move them, bodies went the wrong way a surprising number of times. Could Ona Norkus have ended up a permanent resident of Resurrection Cemetery, despite her lot at St. Casimir’s, miles away? Another thing: Ona was particularly devoted to the Virgin Mary and took her name as one of her middle names. 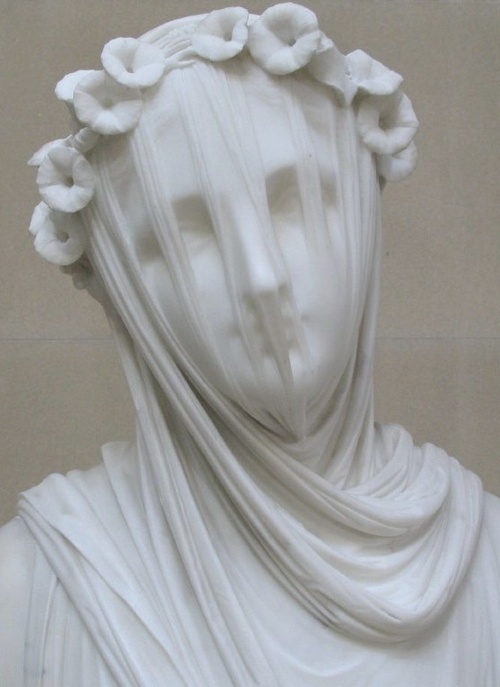 Hence the “Resurrection Mary” name by which the story is popularly known makes a little more sense. In 1973, Resurrection Mary was said to have shown up at Harlow’s nightclub, on Cicero Avenue on Chicago’s southwest side. That same year, a cab driver came into Chet’s Melody Lounge, across the street from Resurrection Cemetery, to inquire about a young lady who had left without paying her fare. Columnist Bill Geist detailed the story of a cab driver, Ralph, who picked up a young woman—”a looker. A blonde. . .she was young enough to be my daughter—21 tops”—near a small shopping center on Archer Avenue.